It’s March! Yay, it’s March! Spring will be here soon! Weather will get warmer soon! Life returns! Oh, and I have a new list of books to read. So exciting! So in the month of February, I had five books listed. 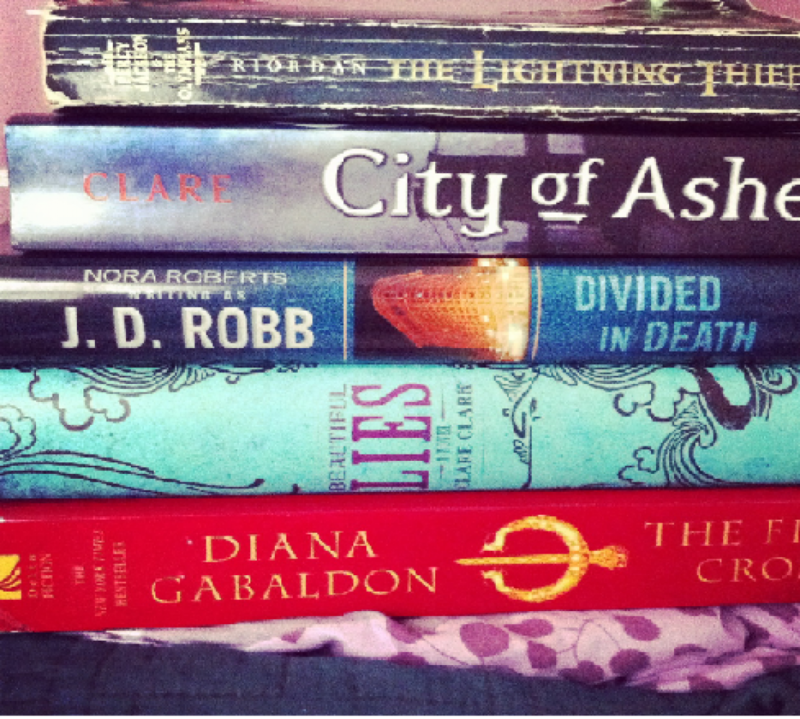 Those books were City of Glass by Cassandra Clare, Visions in Death by J.D. Robb, The Sea of Monsters by Rick Riordan, The Fiery Cross by Diana Gabaldon, and A Discovery of Witches by Deborah Harkness. 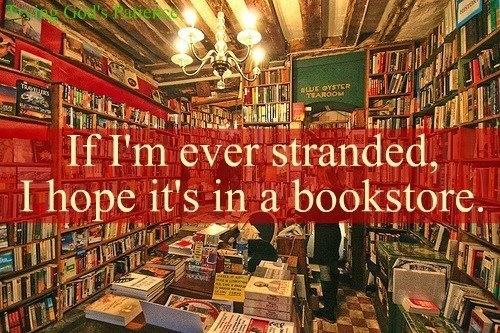 I’ll be honest, I only finished three of those listed books. I could not finish A Discovery of Witches. I couldn’t even get halfway through. I was so bored by it. I’m sorry to everyone who loved it, I know there are many who did. However, I also read Water for Elephants by Sara Gruen, The Death Cure and The Kill Order by James Dashner, Scarlet by A.G. Gaughen, A Million Suns and Shades of Earth by Beth Revis, and I started reading Beautiful Creatures by Kami Garcia and Margaret Stohl. Yup, in the shortest month of the year, I read eleven books and finished nine of them. Don’t worry, I didn’t neglect school. Just sleep. Plus I was sick last week so I read a little more then too. And on the metro on the way to and from school. And yes, I’m still on the Fiery Cross. It’s great. Jamie and Claire are wonderful, no matter how long it takes for me to finish their story. And seeing as I’m on book five and book eight isn’t coming out till later this year, I’ll probably not have to wait too long to read it. However, aside from A Discovery of Witches, I enjoyed all the books that I read this month, they were all good reads and most of them I’ll be reading again. I’d say my favorite of last month was probably either A Million Suns or Scarlet. A Million Suns in the sequel to Across the Universe by Beth Revis, followed by Shades of Earth. Scarlet is a retelling of the Robin Hood story (which is one of those classics I’ve always loved) from the perspective of Will Scarlet, who happens to be a girl, and only Rob, John, and Much know that about her. I expected one of the twists that came, but didn’t completely expect the other part of it. 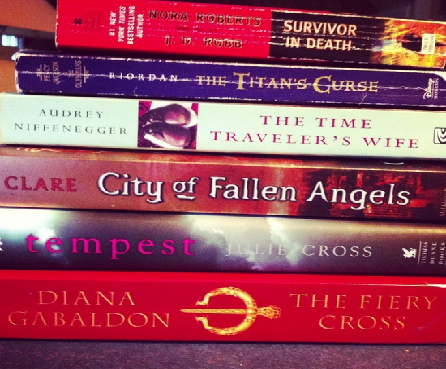 So for the month of March, I’m set to read six books (including TFC). I’ll be reading book three in the Percy Jackson series, The Titans Curse. As I did with the Lightning Thief, I devoured The Sea of Monsters last month on the first day of the month. I loved everything that happened in the story and was surprised at the bit in the ending. I love surprises at the end. I expect to finish The Titans Curse in one day as well. I’ll also be reading book for in the Mortal Instruments Series, City of Fallen Angels. I’ll be honest, I spent the majority of City of Glass wanting to punch Jace and Clary and wishing the story focused on Alec instead. These two are just idiots. But I still like the surrounding story and hope that things get better in this book (hope that Jace and Clary stop being morons). I’m not sure if the reason I finished the book in a day was because I loved it or because I just wanted to get on to the next book, but I finished in a day. I’ll be reading Survivor in Death, book 20 in the In Death series. As always, I love Eve and Roarke, and Mavis, and Peabody, and McNabb, and all the wonderful cast of characters in these books. I stayed up till 3:00 in the morning reading the last one because I knew something bad was about to happen and it did and I had to make sure Peabody was alright and then the book was almost over so I had to finish. I love these books. Another book I’ll be reading is The Time Traveler’s by Audrey Niffenegger. The movie is wonderful, although shattering, and I expect that the book will be the same, but I’m cool with crying on the metro, since it’s over a book. Odd fact, I don’t cry much at real life things, but I bawl at books, tv shows, and movies. Coworker who I really like had her retirement party yesterday and I didn’t cry although others did, then I went and watched The Angels Take Manhattan and sobbed like a baby at the end. I’m cool with crying over works of fiction. I’ll also be reading Tempest by Julie Cross which is a book that has a storyline that seems a lot like The Time Traveler’s Wife, with a guy who can travel in time and go back to present, so I wanted to read both of these books in the same month to compare them and see how similar they are. And they both sound cool. And of course, I’ll be keeping on The Fiery Cross by Diana Gabaldon. Still love it, still wonderful. Yup, that’s everything for this month. And I’ll have more time with spring break coming up soon. Vacation, yay!